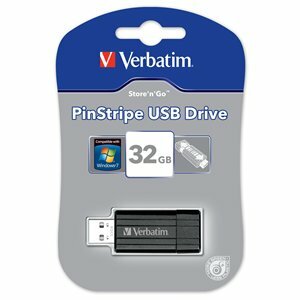 The Store 'n' Go PinStripe USB Drive from Verbatim has a push and pull sliding feature which protects the USB connection when it is not in use without the need for a seperate cap which is easily lost. Each PinStripe USB Drive also includes a password protection software trial from EasyLock™. In a lightweight, sriped pinstripe design and available in a variety of colours and capacities* the PinStripe USB Drive is the perfect storage solution for everyone.